America currently has three of the top-10 players in its ranks: Wesley So, Hikaru Nakamura and Fabiano Caruana. They are extremely studious and methodical players who have dedicated their lives to the game. The fight to be known as the best prospect for chess in America is a tough one. 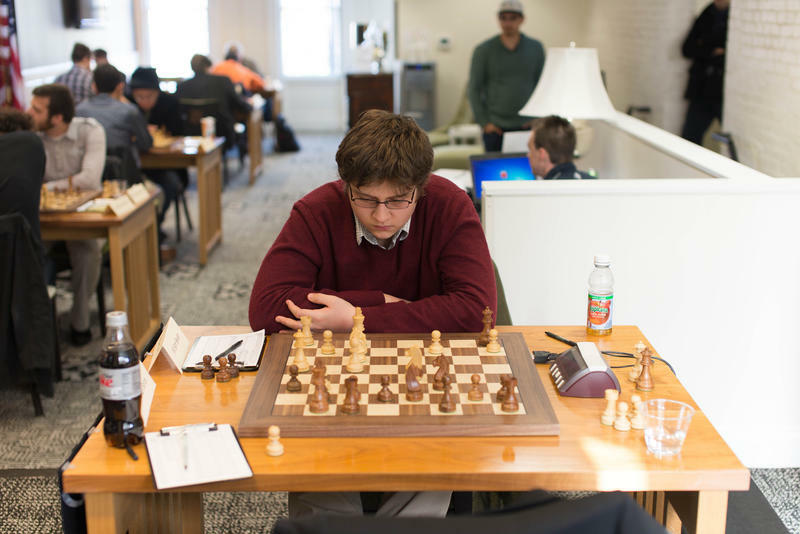 With the chess boom caused by these three top-level players, as well as the impact of the Saint Louis Chess Club and the Kasparov Chess Foundation, several impressive talented players have been making their way up the national ranks. However, two of them stand head above the rest, and have recently distanced themselves even more from the pack: Sam Sevian and Jeffery Xiong, the two star students of the Young Stars program. 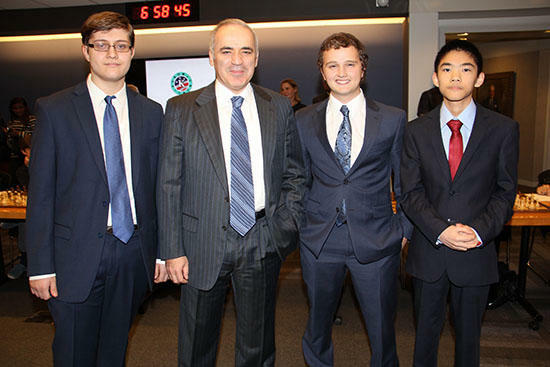 Sam Sevian, Garry Kasparov, Kayden Troff and Jeffery Xiong at the KCF Gala last year. The Young Stars – Team USA program has been sponsored by the Kasparov Chess Foundation and the Chess Club and Scholastic Center of Saint Louis since 2012. A group of young and promising chess players are assessed and evaluated by Garry Kasparov himself, along with KCF President and FIDE Senior Trainer Michael Khodarkovsky. These players are also individually trained by prominent grandmasters and famous coaches, including Alexander Chernin. There is no doubt in anyone's mind that Sevian and Xiong are chess geniuses: They are currently the top players in the world for anyone born after Jan. 1, 2000. However, their climb to the top has come from extreme dedication. The guidance provided by Kasparov has certainly proven invaluable. Even though the sessions are relatively brief, only a few days at a time, the students go home with an insurmountable amount of work to improve their game. Both Jeffery and Sam have proven that they have taken this advice seriously, and their successes are the fruit of their labor. Jeffery's most recent success was his wonderful performance in the 2016 U.S. Chess Championship. The strongest American national championship ever held, with three top-10 players, was held in St. Louis a couple weeks back. Jeffery was the youngest participant and a first-timer at this prestigious event. The second youngest player, Akshat Chandra, qualified through his victory in last year's U.S. Junior Championship and is also part of the Young Stars program. Meanwhile Sevian's success was in the Hasselbacken Open in Sweden. Despite a star-studded field, it was Sevian who had the attention of the entire world as he started out smashing opponent after opponent with a brilliant 4.5/5. His victory against Alexei Shirov, one of the top players of the ‘90s, was as wild as it was impressive. The Young Stars will be coming to St. Louis this Memorial Day weekend. While some people might take some time to visit family, take a vacation or just relax, these young talents convene at the boardroom of the Saint Louis Chess Club to go over the mistakes they have made since their last session. Sam and Jeffery will be joined by some of America's biggest talents: Kayden Troff, John Michael Burke and the sensation from the U.S. Women's Championship this year, Carissa Yip. Everyone in that room is trying to become the next Bobby Fischer, but only the one who works the hardest will have a shot at achieving it. 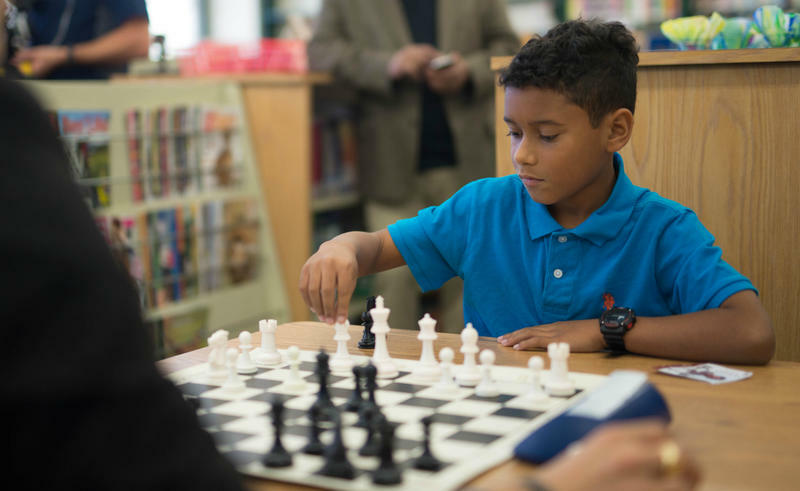 Grandmaster Alejandro Ramirez will coach the Saint Louis University chess team and is an employee at the Chess Club and Scholastic Center of Saint Louis. On Chess is provided by the Chess Club and Scholastic Center of St. Louis.